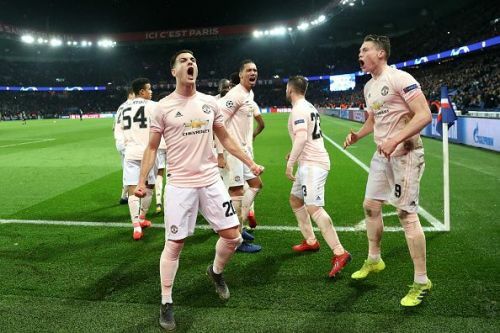 Manchester United continued their historic tradition of remarkable comebacks by defeating Thomas Tuchel’s PSG by a margin of 3-1 and 3-3 on aggregate to qualify for the quarterfinal. Marcus Rashford's injury-time winner knocked PSG out of the competition. Juan Bernat scored for PSG whilst Romelu Lukaku continued his rich vein of form by notching a brace on either side of Bernat’s goal. Beyond that, the game oversaw numerous sub-plots, change of tides and substitutions, only for it to be decided through a nervy spot-kick late in the game. Both teams started cautiously and nervously but PSG made the first mistake of the game to go 1-0 down. United's three-man central defensive formation went in disarray and there was a clear lack of communication between them. Eric Bailly, in particular, looked very uncomfortable whilst playing on the right and was unable to close down Kylian Mbappe. The Ivorian eventually tried to play the Frenchman offside but was unsuccessful in this attempt. Mbappe played a low cross to Bernat who tapped the ball in safely to make it 1-1. It was an ideal start for Solskjaer’s men but Bernat’s goal somewhat neutralized the impact for a period of time. PSG worked the ball around and forced United further back. However, against the run of play, Andreas Pereira picked a good pass for Marcus Rashford who took an ambitious shot from a long range. 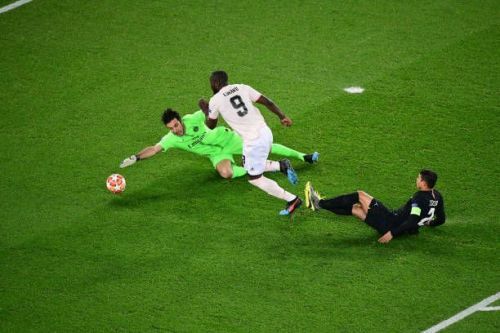 Though the chances of the ball finding the back of the net were quite low, Rashford had inserted enough venom in it to cause a fumble off the usually safe hands of Gigi Buffon. Lukaku was smart enough to instantly react inside the box and poach another goal to make it 2-1. Though both sides showed nerves, United held it better. Despite a billion euros of spending on transfers, why are PSG still struggling in the Champions League?